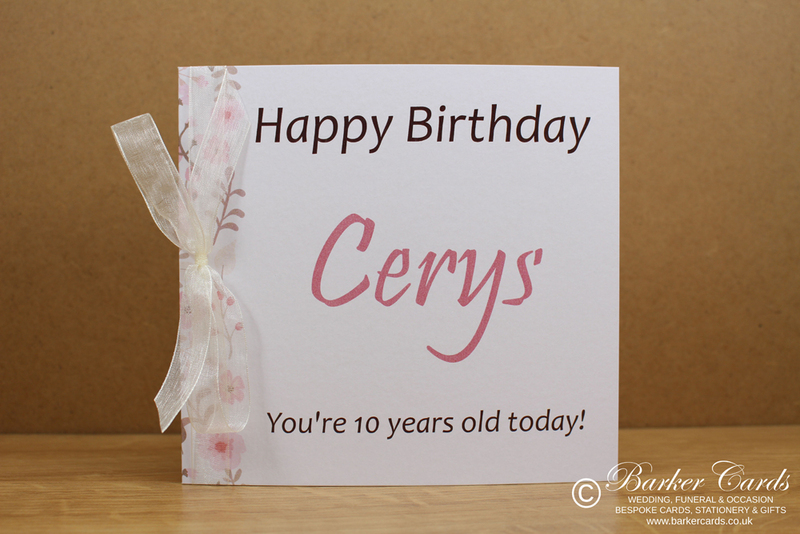 This birthday card is features a space for the name of the recipient to be printed making it very personal and includes a pretty ribbon to finish it off. 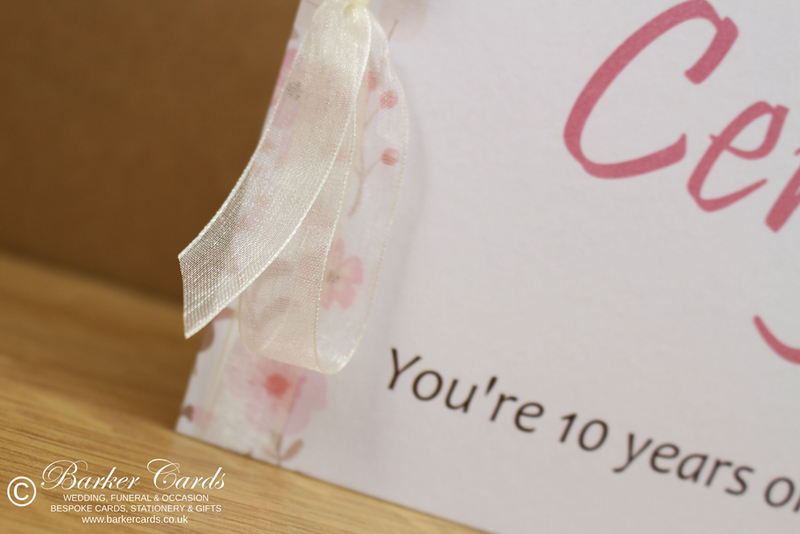 As our birthday cards are all printed to order, we can provide a very personal service including a special message on the inside of the card and printing the recipients age or nickname on the card. and to order using product code BC02.